Wife of Gary Langston, Jr. Sister of Gary Langston, Jr.
wife's uncle Gary Langston, Jr. Son of Seth Lee and Pearl Lee. Whilst it may seem clear what a village is in some cases it is far from obvious. For example what is the difference between a village and a manor and indeed what is the difference between a manor and a house or houses? In the interests of inclusion contained in the list below are settlements where the claim to be villages is to say the least questionable. Most of the Langton settlements were once much bigger, and some don't even exist anymore. Names of importance that stuck out. Are you using any kind of softwhere for this? Hello, I am Mary Elizabeth Langston Deal, daughter of John Robert Langston. There is one error that I see. 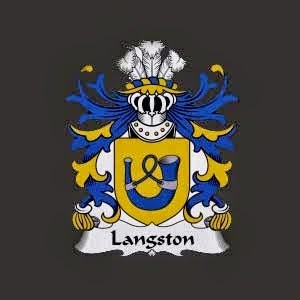 John H. Langston, father of Sallie Langston Adams, Millard Manly Langston, Eva Mae Langston, Ireme Langston Massengill, Herbert David Langston, Needham Waltham Langston, and John Robert Langston was married to Emma Elizabeth Massengill Langston. Sarah Langston was their grandmother, I always heard her referred to as Granny Sarah by my father.